I have to say, I never thought I'd be one of those people. I never thought I'd leave my church. Well, not until a few years ago. It started before this thing that happened that I've labelled "the beginning." So, I have to tell you my story about faith and church membership. More than forty years ago, when I was looking and hoping for a husband, I knew that I wanted a man of faith. Which, now that I think of it, is kind of odd. I was raised in a home with a mother that was raised in church and a father who was not, but who accepted Christ and Catholicism so that they could be married. Dad was a questioning Catholic when questioning was frowned upon. I had equal doses of questioning and instruction on church doctrine until questioning took over during my teenage years. By the time I was in college, I was not connected with any faith community. I was freaked out by the Jesus Freaks on campus. No, thank you. No overt declaration of faith for me. I'll just keep that to myself, thanks anyway. By the time I graduated and moved and was working for a giant corporation, by the time I was hoping to marry and live an adult life, faith had become more important to me than one would know by witnessing my life. Well, maybe not faith so much as church-going. I had come to think that church-going was a necessary part of "adulting." 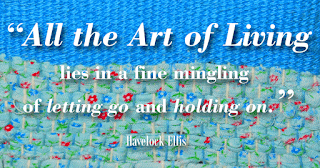 I hadn't yet discovered what a life of faith could be like. I know now that God has been working on me since there was a me to work on. The first clear sign of Divine Influence was the man that God chose for me. I have been married to that man of faith for more than forty years. I thank God for him daily. We married in the church (for the record: Christian Church (Disciples of Christ)), found our church, blessed and baptized our children in the church, saw them married in the church, and witnessed the blessings and baptisms of their children in that same church. 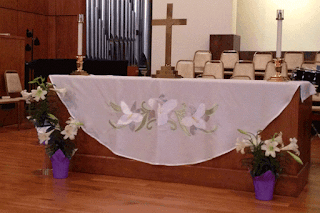 Over the years I taught Sunday school, directed Vacation Bible School, participated in and lead Christian Women's Fellowship, served as a deacon and as an elder, chaired committees and task forces and served as Moderator of the General Board. 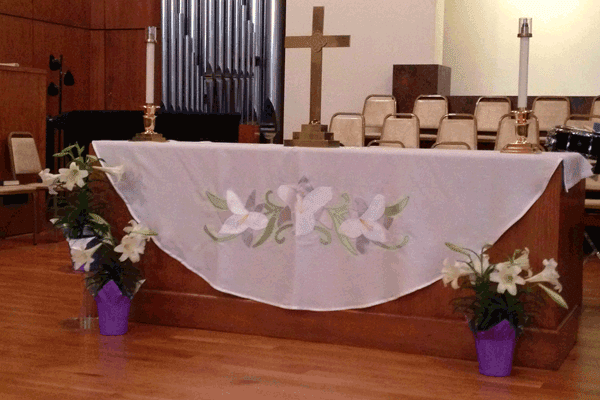 I sewed dresses for the bell choir, banners, paraments, and a cloth for the communion table. I painted Sunday school classrooms and made curtains and floor cushions for them. 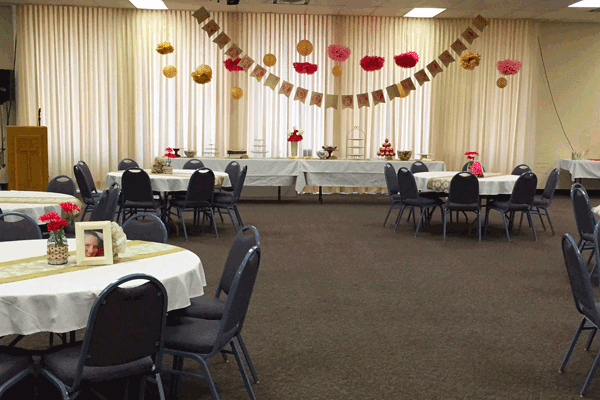 I planned and decorated for receptions for ministers coming and ministers going. I said hello and goodbye to many other friends, as well. I shook my head at those who, after having been at church every time the doors were open while their children were growing up, just quit coming after the youngest child left for college. I was dismayed at those who left for other churches. I cried at the funerals of those who served faithfully all their lives. It wasn't the goodbyes that got to me, though. Yes, I did let church keep me busy. As time went on, I was able to serve God in more and more ways. But don't think that all I did was work. I read and studied the Bible, and engaged in prayer and study groups. I learned early on in Christian Women's Fellowship that we can talk to one another about what we believe and about our prayer lives. I learned from other deacons and elders that we can share our real fears and needs with one another and that tears flow when you are prayed over. I learned that I really want to be part of a group of people that really make an effort to follow Jesus, even when it means dramatic changes to how we understand God. I want to pray for people and have them pray for me. I want to talk with them openly about what I think and what I've learned and where I'm struggling. But I didn't realize how much I needed this until I had let the busyness crowd out real faith practice. Sadder still, when I finally picked my head up and looked around, I couldn't seem to find that group and I didn't know how to build one. Meanwhile, I served on committees and task forces that recommended change: change in worship times, change in how we make decisions in the church body, change of furniture in the lobby. Let me just say that, if you are a person who takes things personally and are asked to lead a task force that will probably make a recommendation that even a few people in your organization might be upset with, you should seriously consider turning down that wonderful opportunity. Here's the thing: if you will take that job, others will ask you to do it. Over. And. Over. Then it happened, that beginning-of-the-end event that told me that it was time to take a step back. The details aren't important. It could have been any change that I had been defending at the board meeting that night. It could have been any board member who managed to get up in my face from across the room, becoming more and more angry in his questions and finally insulting me before anyone decided that he was out of line. It could have been any other leader who spoke with me after the meeting and, instead of noticing that I was still shaken, told me that I needed to be more careful how I spoke because I sounded a little angry. It was just time to let go, so I decided to let go of all the leadership roles I was filling at the time. It was time to start to clear the deck and get some perspective. Just so you know, I could not have had more loving support from our minister at the time. Some would say that it is a weakness to care more for the person than for the organization, but she heard my pain and knew that the organization could come between me and God. 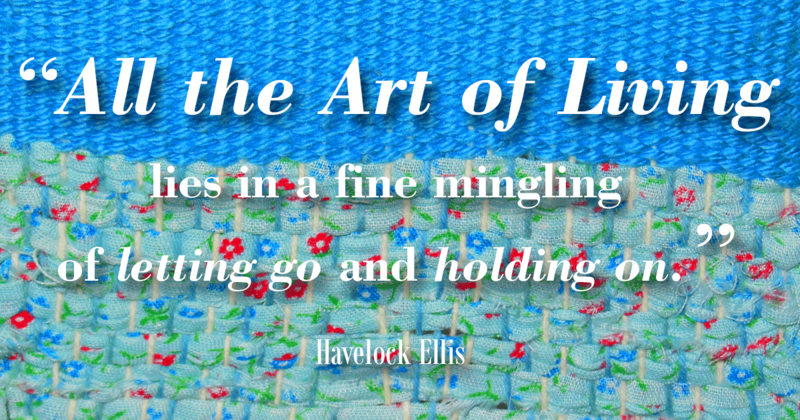 This was the beginning of learning more deeply the meaning of that aphorism, "Let go and let God." More about that in a future post.